You can always point to profiteering as the problem, but it’s actually not! FDA - A government monopoly on the regulation of food and drugs. The FDA doesn’t really care how much it costs companies to get their drug on the market. They have no competition and thus no motivation to regulate food and drugs more efficiently. Patents - The patent system allows a drug company to charge exorbitant prices for 14 years without competition. Another effective monopoly for 14 years. Heatlhcare System - Its incredibly complicated and most people are not aware what the drugs cost. 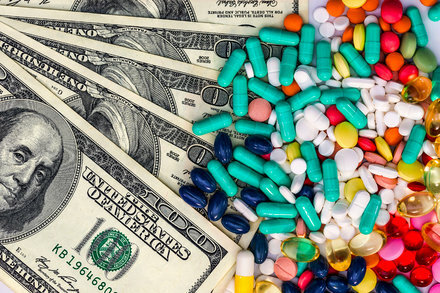 When consumers aren’t aware of the cost of prescription drugs, cost will increase over time. All my copays for drugs have been $0, I have no idea how much they cost. No other industry has such a massive price problem, its blatantly obvious that its not the “greedy capitalists” to blame. Why don’t we have the same problem with say, electric heaters? Many people depend on electric heaters to stay warm through the winter and if not designed properly they will burn the house down. So you could say they are critical to human life. But the government doesn’t regulate heater manufacturers (Underwriters Laboratories or ETL does) and the patent system isn’t a large barrier to produce similar products. I just bought a $45 oil filled electric heater at home depot that works great! In fact, I compared three other brands before I bought one. So, all three points above are solved for electric heaters and we don’t have “price gouging” and greedy profiteering for such a basic human need as staying warm. It’s easy to read and it changed my life. Placed a hold in the local library ! Thanks for the recommendation.